Modularity has been and continues to be one of the central research topics in ontology engineering, still catching up with 40 years of related research in software engineering. 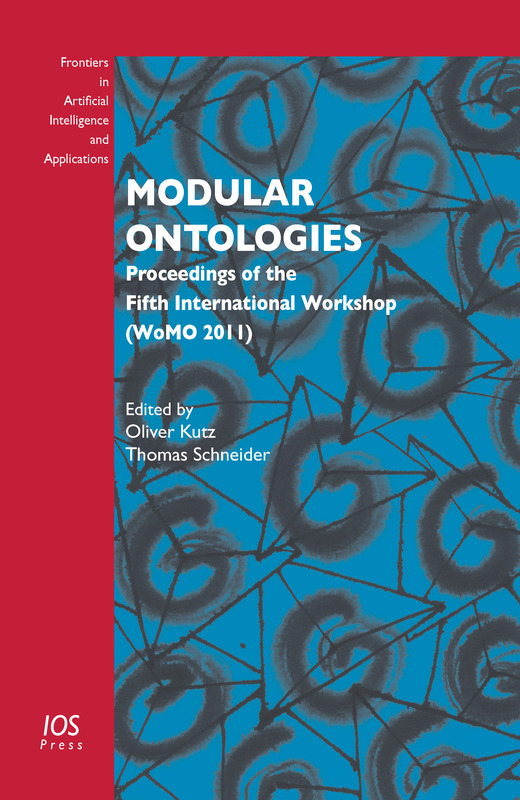 The workshops on Modular Ontologies (WoMO) bring together researchers from different disciplines who study the problem of modularity in ontologies at a fundamental level, develop design tools for distributed ontology engineering, and apply modularity to different use cases and application scenarios. The contributions in this volume are of interest to researchers, students and practitioners interested in foundations of ontology engineering, ontology languages and tools, and specifically, to research groups working on ontology modularization and integration problems and developing tool support. They should also be of interest to the broader communities of knowledge representation and reasoning, information integration, description logics and ontology languages, distributed systems, to the Semantic Web community, and to the emerging application domains for ontologies such as life sciences, robotics, e-business, ambient intelligence. Go to the online version of this book. Edited by: Kutz, O., Schneider, T.